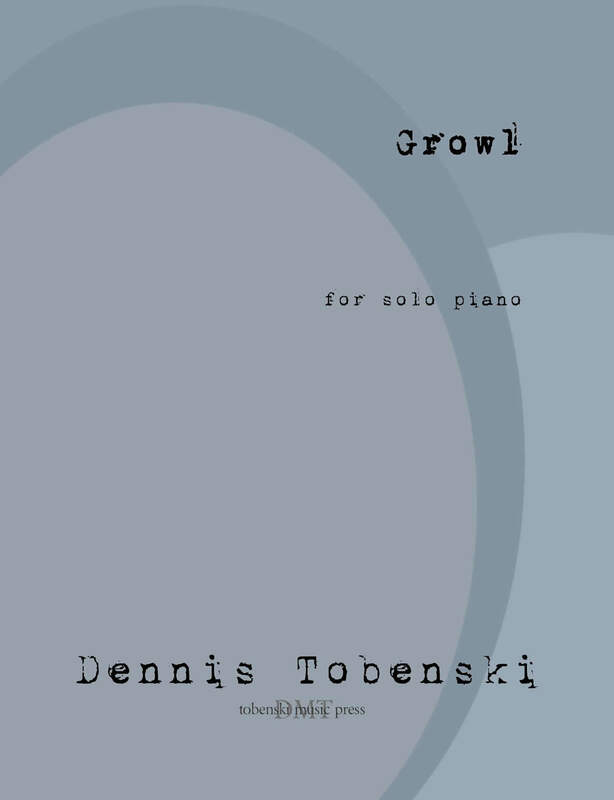 Growl was written over a period of two weeks in late June / early July 2011 for my good friend Marc Peloquin, who commissioned the work for a performance at Barbés in Park Slope, Brooklyn as part of a new concert series, The Upright Pianos Brigade, co-sponsored by Barbés and Concert Artists Guild. Growl owes its title to flutist Esther Landau, who I met at the American Music Center’s 2011 Annual Meeting. While we discussed strange sources for texts, Esther told me of a collection she had made of bizarre subject lines from spam emails from the days before spam filters could stop all but the craftiest of Viagra ads, and promised to send it to me. One Facebook friend request later, and I had Esther’s list in hand. While I found all of the items on the list strangely evocative, I was most immediately moved by “Growl”, and knew then and there that I’d found the title and inspiration for Marc’s piece. 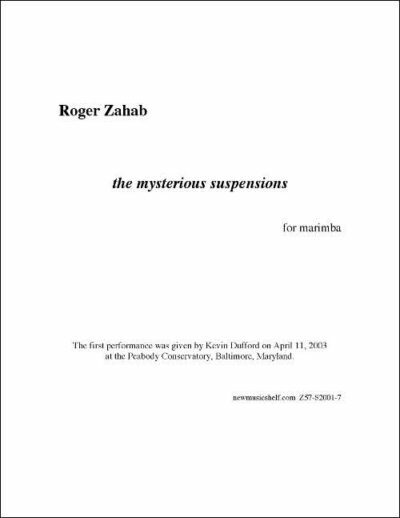 The piece is cast in a roughly ABA/fast-slow-fast form, and centers around two musical ideas: a driving left-hand ostinato and a 16-bar melodic line. 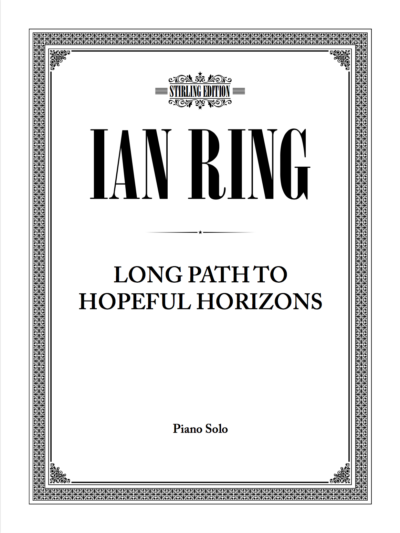 As the piece opens, the ostinato immediately establishes itself, low and menacing, punctuated by snaps and snarls as it races forward. When we first hear the melodic line, it is soft and distant – almost creepy – and it immediately repeats itself, much louder and more violently. 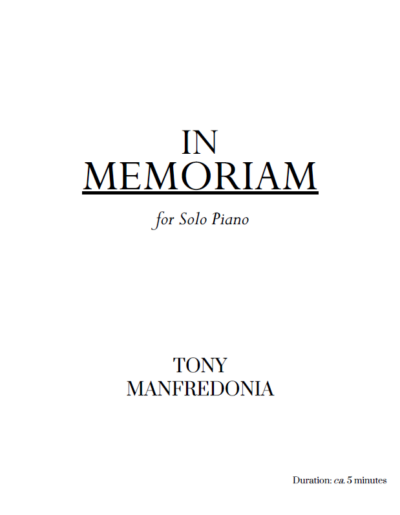 After a brief return to the opening of the piece, we have a moment of respite as the ostinato abruptly drops away, and time stands still for a moment before giving way to a peaceful, ethereal version of the melody. But peace doesn’t last long as the melody becomes increasingly dissonant and violent, culminating in a brutal, crashing cacophony that surges into a triumphal climax. As the grand chords ebb away, the ostinato begins to quietly re-insinuate itself back into the fabric of the piece, building slowly to a return to the opening material and a “screaming” version of the melodic line. Suddenly, the triumphal chords come thundering back, warring with the ostinato – each interrupting the other, clashing to a frenzied, crashing end. Growl is dedicated to Marc Peloquin and Esther Landau. 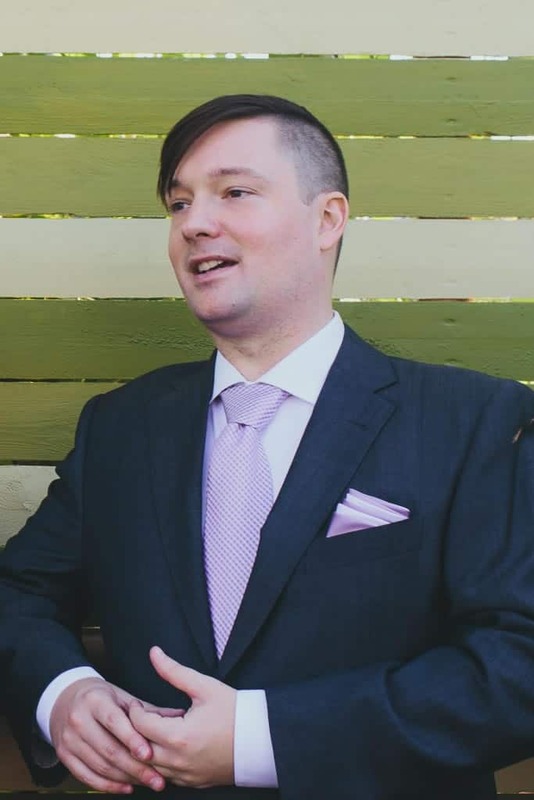 Dennis Tobenski is a composer of acoustic new music, a vocalist, and a strong advocate for new music and for the interests of living composers. Dennis’s Only Air, a 20-minute work for high voice and orchestra memorializing the gay teenagers who have taken their own lives in recent years, was commissioned by the Illinois State University Symphony Orchestra, and has been performed in a chamber version by The Secret Opera in New York and members of the Bay Area Rainbow Symphony. In February 2016, he and pianist Marc Peloquin released their first album together, a disc of art songs by living American composers titled And He’ll Be Mine. Dennis also hosts the Music Publishing Podcast and The Composer’s Guide to Doing Business: two music business-centered podcasts aimed at helping composers and performers to learn more about the practical aspects of their careers. Dennis received his B.Mus. in Vocal Performance and Music Theory & Composition from Illinois State University, and his M.A. in Music Composition from The City College of New York. His principal teachers have included David Del Tredici, Chester Biscardi, and David Feurzeig. He is a member of the Board of Advisors for Composers Now, and the Board of Directors of the KeyedUp MusicProject. Dennis lives in New York City with his husband Darien Scott Shulman and their cat Pistachio.